CHAKOBSA: the so-called “magnetic language” derived in part from the ancient Bhotani (Bhotani Jib—Jib meaning dialect). A collection of ancient dialects modified by needs of secrecy, but chiefly the hunting language of the Bhotani, the hired assassins of the first Wars of Assassins. Normally, O Dearly Beloved, I am a fan of author and commentator Steven Poole’s witty takedowns of the silly, pretentious behavior humans get up to on occasion. I think I discovered him in medias res, skinning, gutting, and flambéing the “foodie” culture while it yet lived, and the amusing screams of pain and outrage emanating from his victims still echo satisfyingly in this non-foodie’s ears. It is perhaps fortunate that the corporate world is widely understood to hold a position of social and economic power, else Mr. Poole’s little exercise in cross-cultural satire might get slapped with a libel suit and be investigated for evidence of a hate crime against the underprivileged. For it is blindingly clear that not only does Mr. Poole beg the question of the purportedly stultifying and spirit-sapping nature of management-speak—stipulating it as true rather than demonstrating it—but also that he has a remarkably ill-informed grasp of the jargon he criticizes, a desperately poor understanding of the way such language is used, and a surprisingly tin ear to boot. If I were a less charitable man, I might suggest that Mr. Poole is a culturally blinkered scrivener who has never set foot inside an actual business meeting or participated in business communication beyond giggling at press releases1 and watching satiric corporate soap operas on the BBC. If I really wanted to score points, I might accuse him of flogging sloppy, tendentious nonsense designed to provoke the anti-business and anti-elitist prejudices of a certain class of fellow Brits so they will go out and buy his new book. But I wouldn’t want to be accused of being culturally insensitive to the species Homo authoriensis, so I won’t even mention it. So, in the spirit of cross-cultural understanding, let me reach my hand across the gaping divide between those who work for a living and those who cannot understand why they have to to proffer a little gentle education. Mr. Poole’s list of the ten worst offenders among management-speak will stand as a serviceable roadmap for my purposes. Yes, this phrase does indeed stand in for “from now on” or “in future,”2 as Mr. Poole suggests. But while he catches its rhetorical intent—which by the way is common to much management-speak and business jargon—he is too busy alleging progress can never be made in business to notice the source of its rhetorical power. For, unlike the anodyne, directionless vagueness of “in future,” going forward implies motion, action, and, most importantly, direction. There’s a reason the preferred coinage is not “going backward.” While I do not mean to freight this modest phrase with unwarranted profundity, the idea of purposeful action and progress is central to most management and business communications, for even the dullest businessperson realizes the biggest risk in any large organization is inertia. “In future” implies no imperative. “Going forward” does. I hope Mr. Poole’s other writing is not as drab and inventionless as his literal equation of “drill down” with “look at in detail” implies. If so, I’d probably find reading Her Majesty’s Government’s telephone directory more thrilling. Drill down is a wonderful metaphor, incorporating geological and investigatory overtones of impressive metaphorical power. Drill down implies there are layers to penetrate, mysteries to uncover, complexities to map. Drilling down requires energy, focus, and effort, and drilling attempts to uncover both buried history and the structure under the surface. Drill down is a term of due diligence, where the intent and practice is to gain a deeper understanding of a business or other phenomenon you do not already understand. Drilling down is not what some passive paper pusher with an eye on the clock does; drilling down is what an explorer does. Mr. Poole’s puerile metaphor of drilling as sexual penetration doesn’t even come close. Nobody I know who has used the term has ever used it with such a leer in their voice. I cannot disagree with Mr. Poole that “verbings” are anathema. My personal bête noire is that horrid specimen “to impact.” (As far as I am concerned, only teeth get impacted.) But I would note that verbings are not restricted to business. And, unlike many forms of jargon or specialized argot, verbings do nothing to enrich language with metaphor or rhetorical power, and the real English phrases they replace are not much longer, if at all, so they provide no useful economy or speed of expression. In almost every instance, they are just evidence of linguistic (and mental) laziness. A pox on them, I say. Not being a native of the Sceptered Isle who learned what bubble and squeak was at Mary Poppins’ knee, I cannot say whether “end of play” is truly a corporate Britishism or merely a phrase Mr. Poole misheard from his friend in the steno pool at British Land. In any event, it sounds much more to me like a phrase from sport, which, if Mr. Poole had ever spent time in a corporate environment, he would recognize as one of the prevailing metaphors of business. While I myself am skeptical that sport provides useful or revealing metaphors for business, I find it odd to associate it with childhood or “infantilized workers.” Unless Mr. Poole thinks the billions of pounds at stake in the Premier League are somehow childs’ play. Honestly, what does Mr. Poole have against delivery? Was his uncle a disgruntled Royal Mail employee? Delivery, while itself being inoffensive to most human beings, carries the useful implication that the person delivering the goods is often not the person responsible for their production, which many times takes place at different places at the hands of different individuals. And yet—as we may surmise by the fact that real individuals, including non-businesspersons, pay real money to postal services and parcel express carriers to deliver items they themselves did not produce to arrive on time and in good condition—the act of delivery itself carries value and merits attention. Finally, as service providers such as Yours Truly occasionally use the term, “deliverables” is a useful abbreviation for all sorts of preliminary, interim, and finished work products (yes, I went there) that are due at specified times in specified sequence in a complex process involving multiple parties over an extended period of time. I would much prefer to use the all-encompassing abbreviation “Deliverables” than an exhaustive laundry list like “Teaser, Non-Disclosure Agreement, Confidential Information Memorandum, Buyers List, Process Letter, Definitive Agreement, and Closing Schedules, if, as, and when appropriate” in everyday communications with an M&A client, for instance. Can you blame me? How typical for a Brit to identify the generous, inclusive, and expansive term “issues” with “problems.” I remember how revelatory I found it early in my career to discover that many natives of Old Blighty would respond to the proposal of almost any new business idea or process with the prefatory throat clearing, “Ah. The problem is...” It could be the national anthem. Yes, “issues” can be euphemism for problems, but it can also mean consequences, implications, outcomes, preconditions, or almost anything else upon which there might be differing opinions or which should be discussed. Business is complex, business is riven by ineluctable uncertainty, and business is riddled with myriad issues. Not every issue is a problem, but, by its very nature as an issue, every issue must be addressed. This, by the way, is what the quotidian practice of the business world consists of: the identification, discussion, and resolution of issues. “Problems.” Pshaw. Yes, I suppose I and my fellow baby seal murderers in the financial profession are responsible for the glamorization of “leverage,” if not directly for its introduction into non-financial contexts. What can I say? Leverage is indeed a powerful concept, based, strangely enough, on the mechanism of the lever (to which Mr. Poole alludes), which the last time I checked my high school physics text meant a hell of a lot more than “use” or “exploit.” Application of a lever—like a corporate capability, say—in certain contexts can generate far more powerful outcomes than the application of brute force. It depends on the context, specifically the presence of a fulcrum. In certain circumstances, certain corporate attributes can be far more effective and powerful than a simple evaluation of their standalone properties might suggest. Of course, in finance the identification of the lever and the fulcrum is simple and comes prepackaged in the capital structure (where the presence of debt enables a much smaller quantity or force of equity to perform much more effectively than by itself). I suspect the identification and exploitation of coherent levers and fulcrums is more problematic outside of finance than in, but is that not why they pay corporate executives the big bucks? Bleeding heart anti-business lefties should be delighted that businesses at least pay lip service to the notion of stakeholders. The concept really means all those individuals and organizations who have an ongoing stake in the performance and actions of a corporation, including employees, customers, vendors, suppliers, governments, and yes, even security holders. The concept that a firm has obligations to all of its stakeholders is real and serious enough that the gimlet-eyed archons of capitalism on the Delaware Court of Chancery have specifically enjoined corporations to support it and protected them from ravening shareholders and plaintiffs attorneys when they have. “Stakeholders,” of course, replaces the archaic notion that only the interests of equity shareholders—the nominal “owners” of a corporation—matter to the conduct of a firm. It’s a good word, and an important concept. The fact that certain firms use it as a smokescreen for less savory behavior is less a criticism of the neologism than one of bad actors. Okay, I concede this one. “Competencies” is just lame. Again, Mr. Poole projects a monochrome shadow of a living word on a blackboard and complains the image is flat and uninteresting. Sunsets are slow, gradual, and predictable. Sunset implies that a project will tail off gradually over time, dying a slow and natural death as resources are consumed or withdrawn. Sunsets are not sudden and violent deaths. Only a business tyro would think that every business project either continues full strength or is taken out behind the chemical sheds and shot. Business projects have life cycles. Pace its deplorable construction as a verbing, sunset is a perfectly acceptable and descriptive metaphor for a common business action. We are not all Mother Teresa or the Terminator. In fact, Mr. Poole’s jeremiad is in general a deplorable exercise in sneering incomprehension. He seems to have no insight or understanding whatsoever that the metaphors embedded in management-speak are not incidental but rather central to their purpose and continued usefulness. He glances passingly at the notion that they might be primarily rhetorical devices, but then he ignores this key insight for childish cheap shot-taking. His principal objection to the professional argot of an occupation he does not share seems to be that it offends his sense of linguistic and literary propriety. Sure, like any language—English, for example—management-speak can be used “to deflect blame, complicate simple ideas, obscure problems, and perpetuate power relations.” But that is a function of language. And make no mistake: bureaucratese is its own language. Or, to be more precise, its own idiom. Idioms evolve organically among the members of a group sharing common interests and concerns to better communicate those very interests and concerns. This can take the form of abbreviation, where a commonly understood word or phrase can convey an entire sentence or conversation; motivation, where a word or phrase is understood to inspire action; or community-building, where the word or phrase triggers thoughts and actions of allegiance and commonality among its audience. These all necessarily exclude people outside the in-group, but this does not need to be a sinister thing. Try to follow a conversation among particle physicists in the Cal Tech lunchroom one day if you doubt me. Human society is complex and highly specialized. It should be no surprise that we have erected our own Tower of Babel of mutually incomprehensible idioms, even within the English language, in order to cope. If nothing else, management-speak and other specialized idioms thrive because they are efficient: they save lots of time which conversationalists would otherwise waste in trivial itemizing and explication of concepts, notions, beliefs, and the like which they already share and understand. Business speak, like many other idioms, shares the additional motivation that it is primarily a rhetorical device, designed to summon and direct the energies of hundreds, thousands, or even hundreds of thousands toward the pursuit and execution of common goals which the rest of society does not necessarily share. Its practitioners really don’t care what unwashed outsiders think about it. Perhaps Mr. Poole fails to understand that management-speak is not directed at him, nor at any other person not invested in the success of the organization which uses it (which probably includes many of the clock-watching wage slaves in its employ). 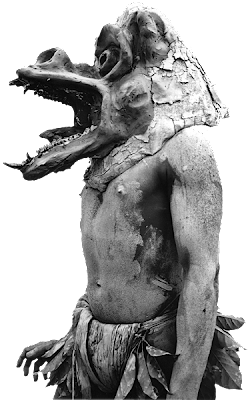 Like the costume of the Papua New Guinean mud man to Bertie Wooster, our argot may appear harsh, awkward, even ridiculous to him, but that is simply because he cannot understand its true import and meaning. Saying business jargon is awkward is like complaining that white lies are untrue: accurate, as far as it goes, but it misses the entire point. Besides, Steven, we all have our little communications quirks, innit? 1 An easy and deserving target, I am careful to admit. 2 I would not dream of criticizing the eccentric British tendency to drop prepositions and definite articles willy nilly from common phrases for some inexplicable classist motive of their own: “go down [to] the pub,” “in [the] future.” So I will just move on, silently.